Hotel-Restaurant Astoria is located in the center of city of Pazardjik, at a quiet and peaceful place. The city is 100 km far away from the capital Sofia and 35km from the second largest city in Bulgaria – Plovdiv. 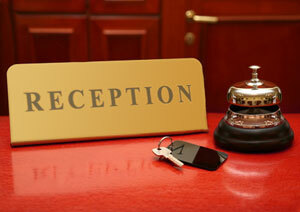 Accommodation: The hotel offers to its guests single, double rooms and apartments at popular prices. Each room has its own bathroom, wireless Internet, room service, mini bar, air conditioning, cable TV and refrigerator. The combination between modern design, warm colours and aesthetics in our hotel will make your stay pleasant and unforgettable. In Astoria you will feel whiff of domesticity and calmness. The hotel has a cozy restaurant with 100 seats that offers selected dishes from the Bulgarian national cuisine.